Simon has been a partner with the practice for over 15 years. 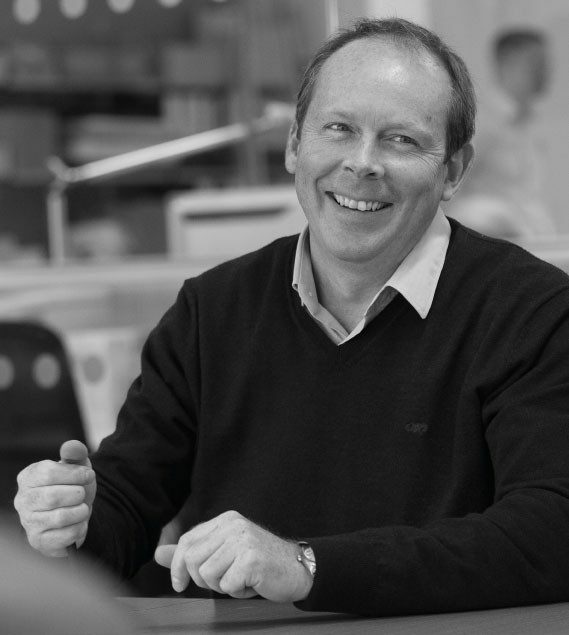 He has over twenty five years of professional experience in the design and implementation of commercial architectural developments, interior design projects and the roll-out of workplace and retail environments in the UK and Middle East. Simon has led major architectural and interior workplace & retail banking design projects for Tesco, HBOS, Bank of America, Canada Life, and RBS. He has also been responsible for regeneration projects, private residential schemes, and healthcare projects. He has a passion for design and a high level of strategic, conceptual and technical expertise. Simon has won BCO and BIFM awards and nominations for workplace projects in the UK in recent years and has been invited to speak at conferences on the subjects of workplace environment and retail banking environment design. As a partner of the practice Simon shares responsibility for marketing & business development and is responsible for project resource planning, human resources and setting design quality standards through all aspects of our activities and services. Simon studied architecture at Nottingham University, and before joining the practice spent several years with US architects Skidmore Owings and Merrill, working on large scale commercial developments including the masterplan for Canary Wharf, 1 Canada Square and Ludgate Place. Simon’s interests include sailing, sea fishing, golf and skiing.